The Medical and Dental Clinic at Eva’s Village is one of only a handful of clinics in the state of New Jersey that offers free medical and dental treatment to thousands of uninsured or underinsured patients each year. This care for individuals who might otherwise not receive treatment not only improves their physical health, but restores self-esteem. The Healthcare Clinic at Eva's Village is a hybrid clinic offering primary care services to both clients of Eva’s Village and the Paterson community. From its beginnings as a mobile van administering tuberculosis tests on the streets when Paterson was the nation's "TB capital" during the late 1980’s, the clinic now provides over 5,000 patient visits annually to the community’s uninsured and underinsured residents. The clinic is staffed by both paid and volunteer clinicians. It offers an array of services including basic screening and assessment, primary care, immunizations, routine acute care, medication monitoring, referrals, and follow-up. 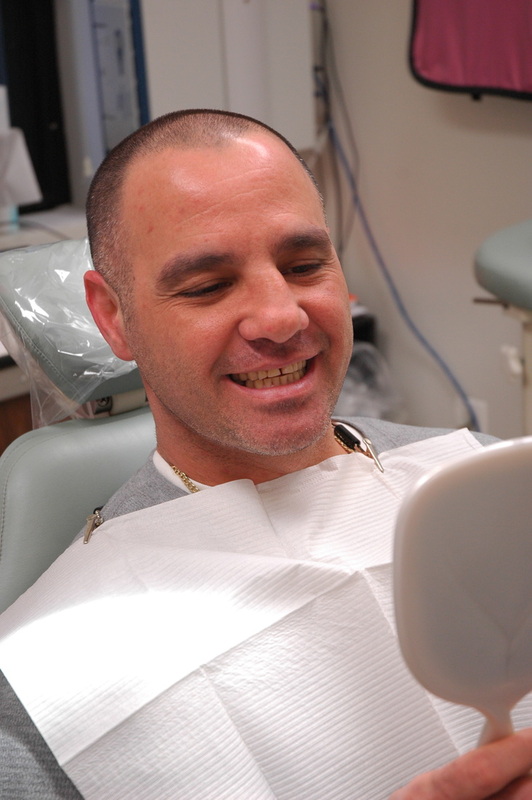 The Dental Clinic at Eva's Village was founded by R. Brian Ullmann, DDS to offer compassionate, free dental care to residents of Eva’s Village programs, as well as other area shelters and treatment programs. The Dental Clinic provides nearly 300 patient visits annually. The Dental Clinic is staffed by volunteer doctors of dentistry and other staff, and offers a range of services including emergency and preventative dental care, diagnosis and restoration, root canals, partial and complete dentures, and oral surgery. Please be advised that our clinic is no longer accepting new patients as of July 31, 2017. Medical services are available at the Paterson Community Health Center located at 32 Clinton Street, Paterson. Interested in volunteering? If you would like to donate your medical or dental skills, please fill out the on-line form on our ﻿Volunteer page﻿.